Leaving Bangalore no longer means leaving good food behind. And that’s very good news. Over the past few years, restaurants and cafes have mushroomed on the outskirts of the city, giving hungry travellers much needed respite from tummy rumblings. LBB directs you towards the best highway restaurants around namma Bengaluru. Happy travels! A favourite with the crowds and their pets, Rasta’s menu has plenty of Continental treats. Apart from the regular line up of pizzas, pastas and burgers, you can also dig into signature creations like steaks, sizzlers, Shepherd’s Pie and Roasted Lamb Chops. If you are just looking for a quick caffeine fix, there’s plenty in that department too. A highly recommended breakfast spot, you’ll find the place milling with crowds on any given day and you’ll probably put in a good wait for your table. Once you’ve grabbed a spot, you can pick from their South Indian menu that includes cylindrically-shaped idlis cooked in leaves, crisp dosas and ghee- doused Pongal. If you are dropping by during lunch, do try their North Karnataka thali. The Holige is rather special here. Read more about it here. On your way to Hyderabad? Then, zip past the airport and take a break at this charming, cottage-like establishment. Plonk yourself on one of the wooden benches in the garden or inside and get started on tumblers full of lassi and plates of piping hot, butter-smeared parathas. On the outskirts of the famous town of Channapatna sits this gem. Bright signage leads the way to this rustically done-up restaurant. For brekkie, choose their fluffy Uttappams speckled with pieces of onion and coriander and paired with a thick coconut chutney. For more heavy duty stuff, come by during lunch time for their much-loved non-vegetarian delicacies like Kheema Dosa and Chicken Biryani. On the way to the airport, this restaurant will ensure that you leave town on a happy note. Specialising in the delicacies of the Godavari region, Coringa offers a unique take on Andhra cuisine. Don’t leave without trying their fresh seafood treats like the grilled pomfret and crabs cooked in a dozen different ways. Located at the start of NICE road, Guru Greens’ menu is a mix of robust North Indian flavours and the greasy, comforting Chinese food that we’ve come to love. Order up plates of their chicken tikka, creamy paneer creations, and slices of fried fish – you won’t be disappointed. Find a gazebo of your choice and get ordering at this no-frills establishment. The menu is a healthy mix of curries and manchurians that fuel you up before you hit the road or the amusement park close by. A short distance from the Vaniyambadi toll booth, that you’ll pass on your way to Chennai, Hotel Chola dishes out vegetarian and non-vegetarian meals with equal gusto. But it is their South Indian specialities – dosas, idlis, Pongal, and meals – that find the most takers. Over the years, Maddur Tiffany’s fame has spread far, and has become a regular stop with Sandalwood bigwigs and politicians. Everything from their super long, ghee roast masala dosas to their fluffy idlis are a good bet. But you cannot leave without sinking your teeth into their crisp Maddur Vade, that’s made from a spice-laden mixture of rava, maida and onions. Read about our experiences here. While zooming down the Krishnagiri Expressway to Chennai don’t forget to stop by at this budget-friendly eatery. 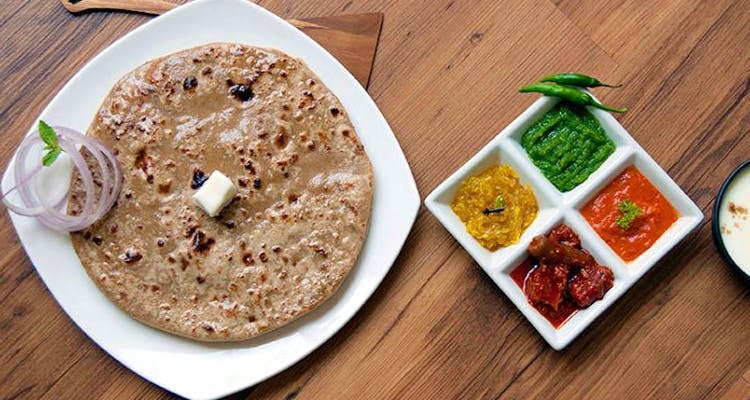 Their ghee masala dosas, idlis and kesari bath are hot picks on the breakfast menu while the filling South Indian meals and parathas are lunch (and dinner) favourites.